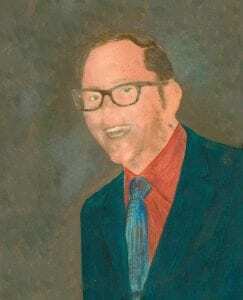 Barry Wallingford always wanted his own business. His father was a successful industry veteran who founded a company similar to Barry’s, Appalachia Business Communications in Knoxville, TN, a company still in operation today. Prior to his father’s death in 1973, 13-year-old Barry would work at his father’s company sweeping floors and getting coffee. Following the death of his father, the Wallingford family moved from Knoxville, but Barry would return five years later to attend the University of Tennessee. While in school, Barry worked for his father’s former partner, Paul Fowler, who would become Barry’s mentor. Needing an additional worker to help lift the equipment, Barry was invited on sales presentations when he completed his deliveries. Once the machine was inside, Barry had the opportunity to observe the sales process. This education would serve him well in the future. After graduating from the University of Tennessee, Barry moved to Atlanta, GA where he worked for three-and-a-half years at a company similar to the one he would later found. 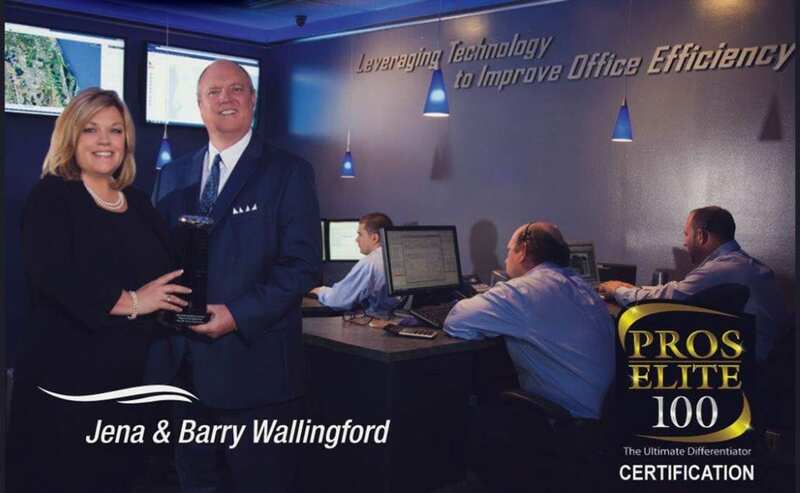 After finding substantial success at his first job out of college, Barry felt he needed to work for a manufacturer so he could learn more about the operation of a successful office automation company. The following seven years would be spent as a Sharp manufacturer representative for Alabama, Mississippi, and northwest Florida. Barry loved his job at Sharp but traveling every week troubled him. With two young children, 5-year-old Zac and 4-year-old Whitney, and his wife Jena at home, Barry decided he needed a change. 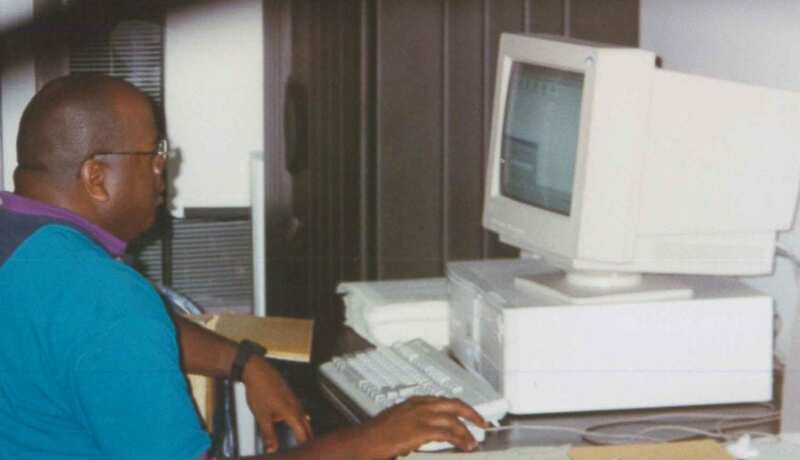 Throughout his time at Sharp, Barry had been working on a business plan for his ultimate dream, building his own technology company. Barry went back to Appalachia Business Communications to present his plan to Fowler and his business partner Jack Eaves, who he had worked for while attending the University of Tennessee. With nothing more than a handshake, Fowler invested $50,000 to help launch the new endeavor. The only thing asked of Barry was that he pay back the loan doubled within five years. Eaves loaned Barry $25,000 under the same terms and, after putting $70,000 of his own money in, he had $145,000 of startup capital. Florida was called a “megatrend state.” Growth was everywhere. It was around this time that Barry learned a company who represented Sharp in Brevard County, FL had gone out of business. So on Valentine’s Day weekend of 1994, Barry and Jena drove from their home in Birmingham, AL to Florida for a long weekend. Staying at the Holiday Inn Oceanfront, they woke up at sunrise each day and drove the length of Brevard County. It was during that long weekend that Barry decided he would quit his job with Sharp and start his own company. 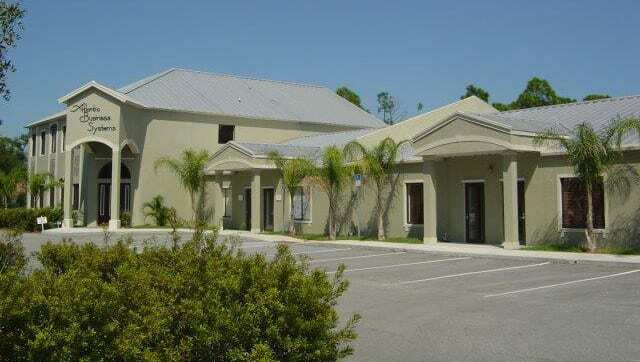 That Sunday, Barry found the spot where he wanted his office to be, a 1,000-square foot facility on Highland Avenue in Eau Gallie, FL. The former bicycle store would be contracted long-distance, and would serve as Atlantic Business Systems’ first location. 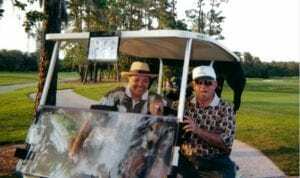 On May 2, 1994, in a U-Haul that was loaded with his desk, mattress, and one copier, Barry relocated from Birmingham, AL to Melbourne, FL. Scared to spend any money as he launched his new adventure, Barry pulled the mattress into the warehouse to sleep on and showered at Gold’s Gym down the street. For the first month, he would be the only employee. Shortly thereafter, his brother, Adam, joined in the fun, helping out in the first couple years in sales. Jena and the children would join Barry a month later, after the sale of their Birmingham home. Jena’s experience as a garden club president would be her only formal training as she assumed the role of Vice President of Administration. She would put in countless long hours for many years integrating accounting, inventory, and service ticketing software. In the early days, these systems were notoriously unreliable. Jena was the one to work late into the night recovering data to make sure the company was ready to operate efficiently during business hours. Barry and Jena proved to be quite a team as they oversaw the growth from one to 29 team members and from $0 to $4.5 million. The company’s first invoice came from a call they got from Harrison Roofing through a small Yellow Pages ad. The customer had a Sharp machine and, with nothing else to do, Barry joined the tech, Paul, on the visit. Paul spent about 20 minutes replacing a fuse, dusted off the machine with 409, and presented a bill for $90. They were paid with a check, but Barry didn’t even have a bank account yet. So, with the company’s first check in tow, Barry went to the bank to open a bank account. Another significant contributor to their early success was Jena’s brother, Greg Horner. Greg managed the service team for 16 years with a continued emphasis on rapid service response. The most challenging circumstance for Atlantic Business Systems came in 2004 when the east coast of Florida was ravaged by hurricanes. The company had moved from Eau Gallie to a new location on A1A in Satellite Beach. On September 4, 2004, during Hurricane Frances, an electrical fire destroyed the building. However, during the evacuation for the storm, Sales Manager Bob Gavrish insisted that key computers and even two large paper filing cabinets be loaded up and evacuated. This forward thinking allowed Atlantic Business Systems to continue, even though the office no longer existed, and was the beginning of the data security thought process that has helped make them successful in network management today. 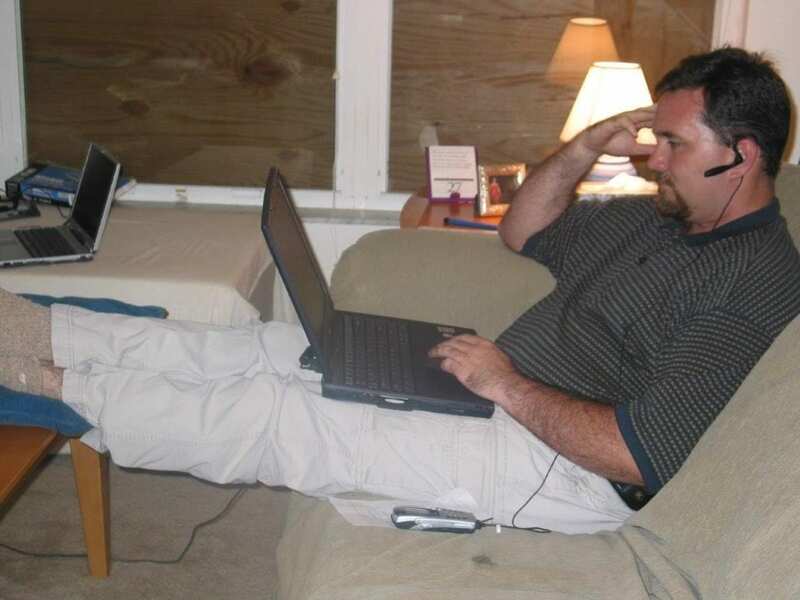 After Hurricane Francis forced a relocation the company set up in the home of employee Brian Woodall to keep the company running. 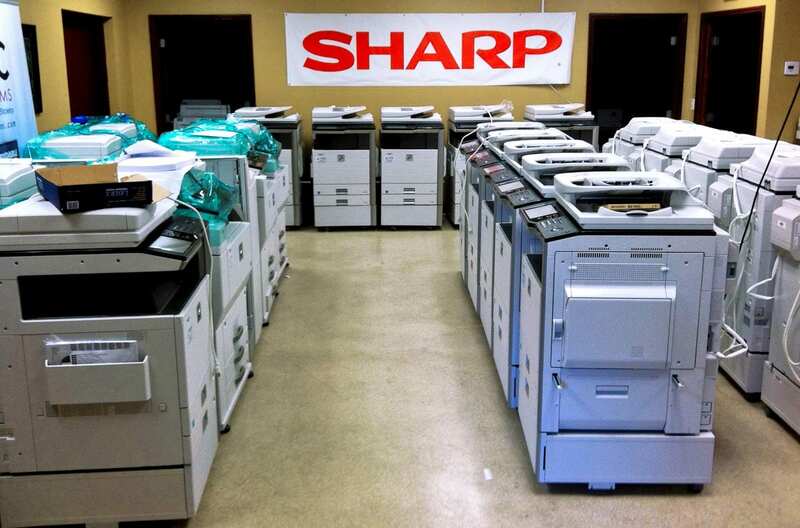 Brian was invaluable in his role of helping the company to migrate from selling copiers to an environment of supporting print and scan capable devices and network connectivity. Despite the challenges of the hurricane and fire, the dedicated employees of Atlantic Business Systems showed up faithfully every day and no-one missed a day’s pay. It’s the dedication of these and many other folks that has allowed the company to be so successful since 1994. 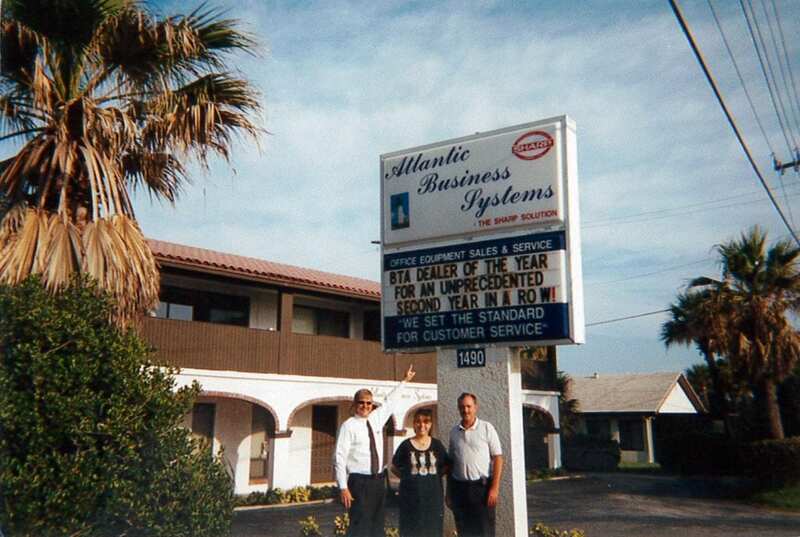 Atlantic Business Systems quickly bounced back from the devastating loss of their office. Their third facility was already under construction at the time of the fire. Thanks to their building contractor, MH Williams, expediting construction, they were able to move in two months later, opening their own 10,000 square foot facility in November of 2004. It was the third time that the company had tripled their space in their first 10 years. This investment has enabled them to design their space to their own specifications and offer additional space for other businesses to lease. 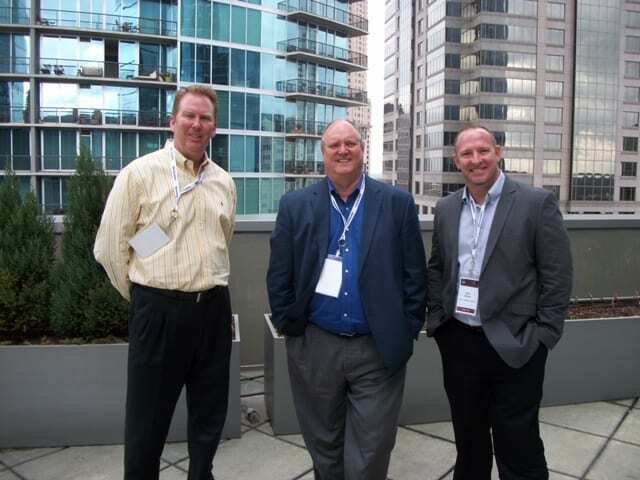 Under the expert leadership of Director of Sales, Dave Ward, and Director of Service, Dave Palmer, Atlantic Business Systems has seen steady organic growth over the past 12 years and now offer additional services like managed print in 2008 adding over 1,500 printers to their service fleet. Zac Wallingford has taken the reigns of the company’s Managed IT Services sales effort beginning in 2014 and is tasked with the responsibility of positioning the company to continue competing in the new highly technical environment. Are you ready to start the conversation about optimizing your business?